Our program is created around what you are planning! What if we already have a DJ or band? Our twenty-minute program is the perfect addition to a DJ or BAND, leaving them plenty of time to get your guests dancing, while we treat your guests to something that's truly one-of-a-kind! What if we're only planning a luncheon after the service? We have been the hit at luncheons at synagogues, restaurants, back yards and even in living rooms! 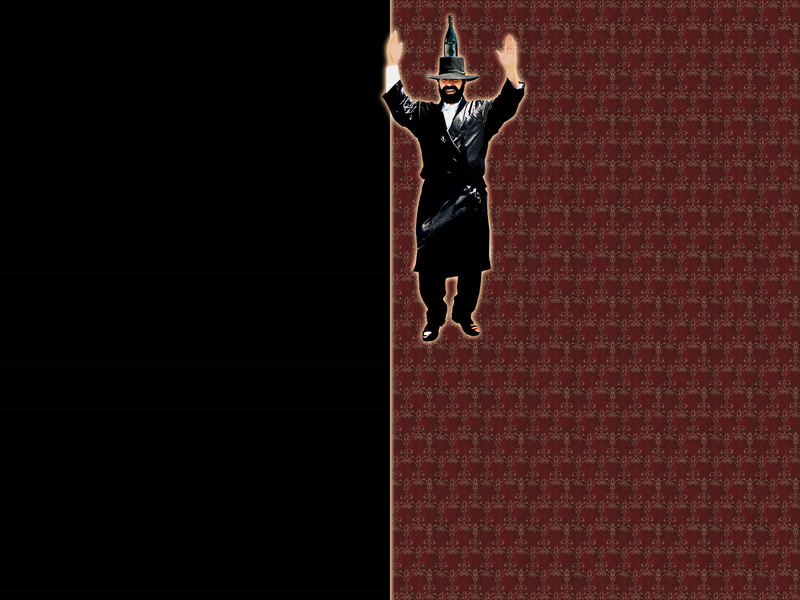 We're certainly going to capture everyone's imagination when the first "Rabbi" makes his humorous, surprise entrance! The very special "Grand Entrance," bringing the B'nai Mitzvah honoree into the room, along with the Amazing Bottle Dance, also guarantees that your guests will be treated to a luncheon like no other! Additionally, our program is always capped off with a sensational HORA! Since we bring our own music, you won't even need a DJ! Who says an intimate luncheon celebration can't be memorable and fun! What if we're planning a very different "theme" for our party? Let's say you're planning a "Wizard of Oz " theme, chances are you're still going to have a Hora. Our program is simply an amazing way to kick it off. At the same time, we add just the perfect touch of "tradition" to help you and your guests celebrate your son or daughter becoming a Bar or Bat Mitzvah! Now how many munchkins can do that?! How do you personalize the program, and what happens if we don't have a lot of relatives? We'll get from you, real names of real people that will be in attendance. It doesn't matter if they're family or family friends. Our "info sheet" will also give you wonderful ideas to help you include something adorable and cute about those that you would like to acknowledge and pay tribute to. Obviously you're going to have different "groups" of people there. This is a fabulous and fun way to introduce some of your special guests to everyone! We'll also go over everything with you over the phone. This will allow you to either include additional info for the program or even add more people. What if a number of our guests are not Jewish? Our program is enjoyed by all because the humor is not Jewish humor…its people humor. The Bottle Dance is also so spectacular, so universal; it's like watching Cirque Du Soleil! Then, when we call out for everyone to join us for the Hora, the Dancers go out into the audience to those who aren't jumping up, showing them what to do and inviting them to participate! My daughter (or son) loves your GRAND ENTRANCE to bring them in, but they have their own introduction in mind? Who says they can't come in twice! For B'nai Mitzvah honorees who would like to make their entrance performing a talent of theirs, perhaps playing an instrument or singing, here are two options; first, our program can start after the entrée and STILL include our GRAND ENTRANCE of your son or daughter. OR, perhaps they can perform their "Judo" exhibition or song later in the evening, in which case we'll start everything off. Do we need a large dance floor for the program? Not at all. We've livened up parties at restaurants and homes, where there was no room for a dance floor at all. All we need is a small corner or area! Then, imagine everyone's delight when we start the HORA, leading people around the perimeter of the room, and snaking through the tables! You've heard of a "Conga Line?" How about a "Conga Hora?!" © Michael Pasternak Productions and The Amazing Bottle Dancers. All Rights Reserved.